There are several equipment purchases that I look back on and say… I’m really glad I got that, it’s made a big difference. Sturdy, Food Safe One Gallon pitchers fit that bill. I went from a mish-mash of too small plastic pitchers, found around the house, that bent under the weight of wort, dripped and leached who knows what into my beer to two commercial quality 1 gallon pitchers. What a difference. I started out with pitchers similar to these those work well, but have a couple of drawbacks. I still use those for some purposes. 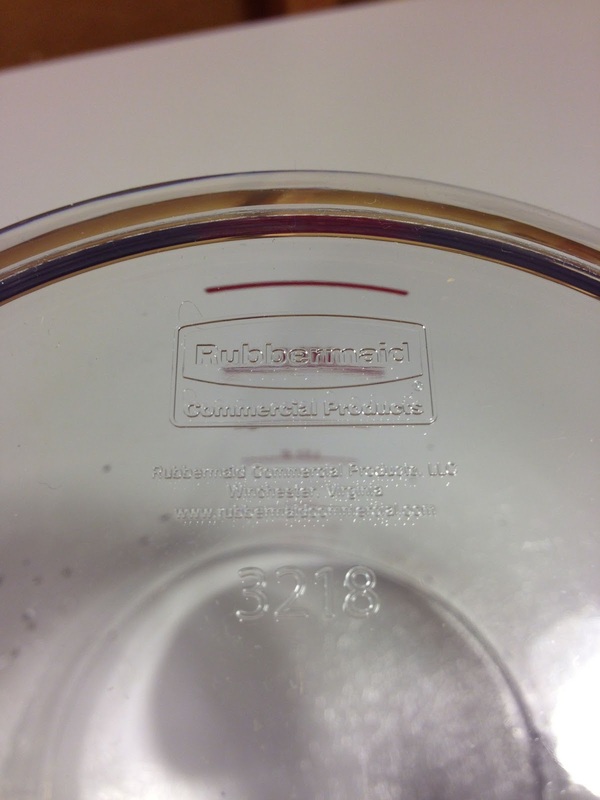 A while back, May of 2013, I picked up Rubbermaid Commercial’s 4 Quart Bouncer Pitcher. Here’s a look at that. 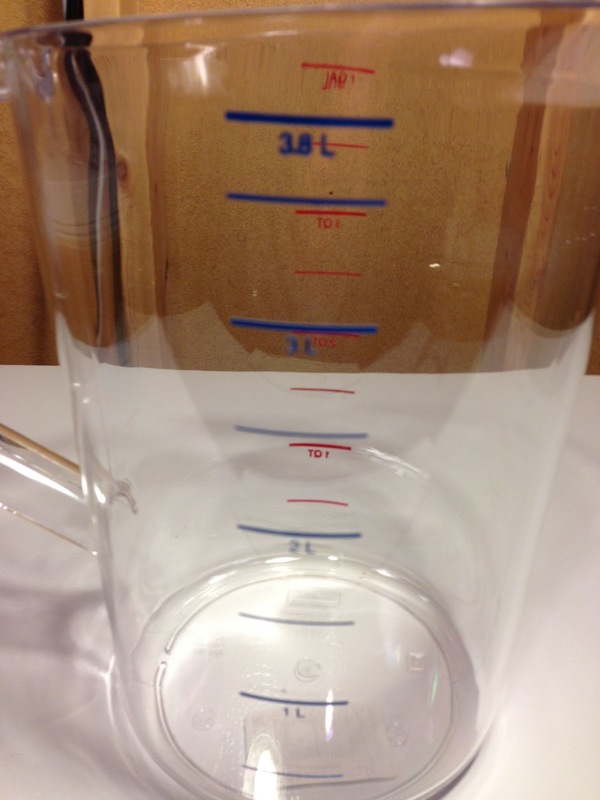 Here’s the Rubbermaid commercial pitchers quart markings. Clear sides make it easy to see what you’re measuring. 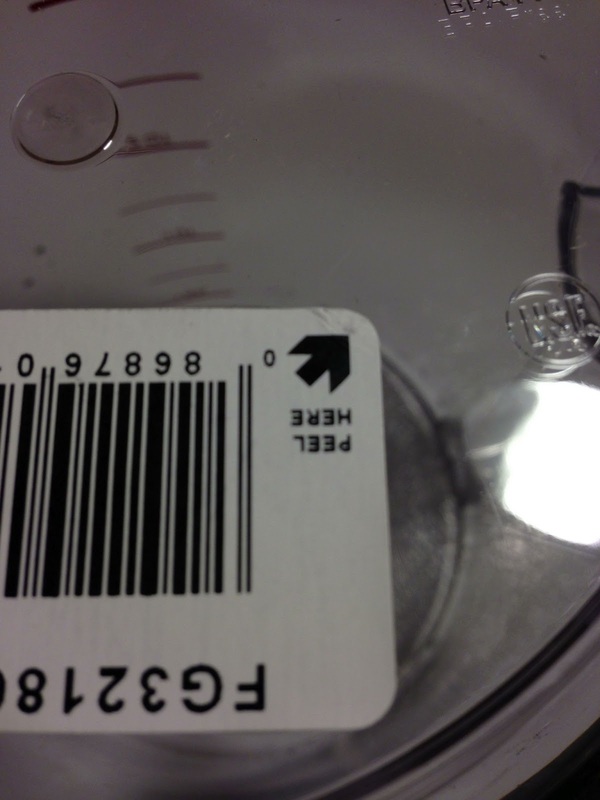 Easy peel off label. That’s a pet peeve of mine. This actually comes off clean. High Temps. This pitcher is designed with commercial kitchen use in mind. It’s made for both hot and cold use -40 to 212 deg F.
Two Pitchers. 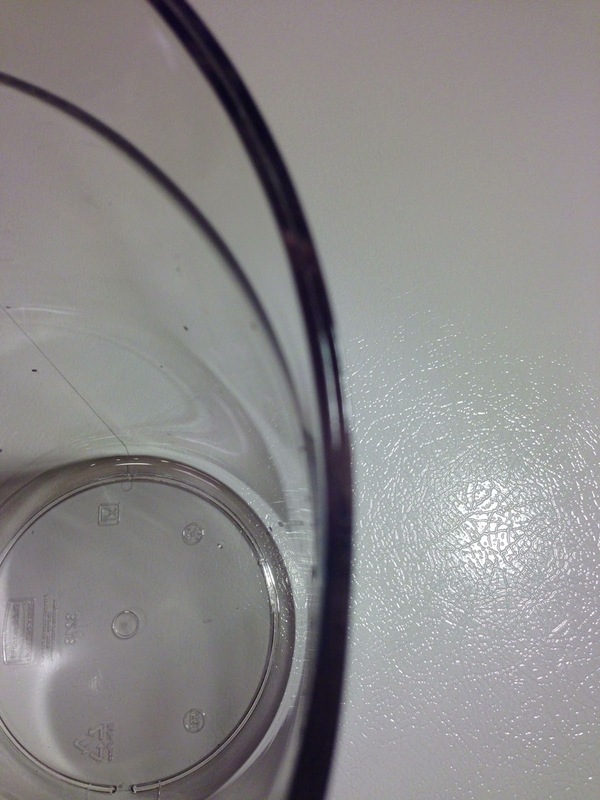 If you are vorlaufing/recirculating, you’re going to want two pitchers and even if you’re not two pitchers are handy. What I use this pitcher for. Vorlaufing/recirculating, collecting water, topping up water, collecting wort from my mash tun, holding utensils on brew day, as a cleaning vessel for smaller items, mixing up PBW and Star San, general measuring. I’m sure there’s more. I can highly recommend this pitcher to you. 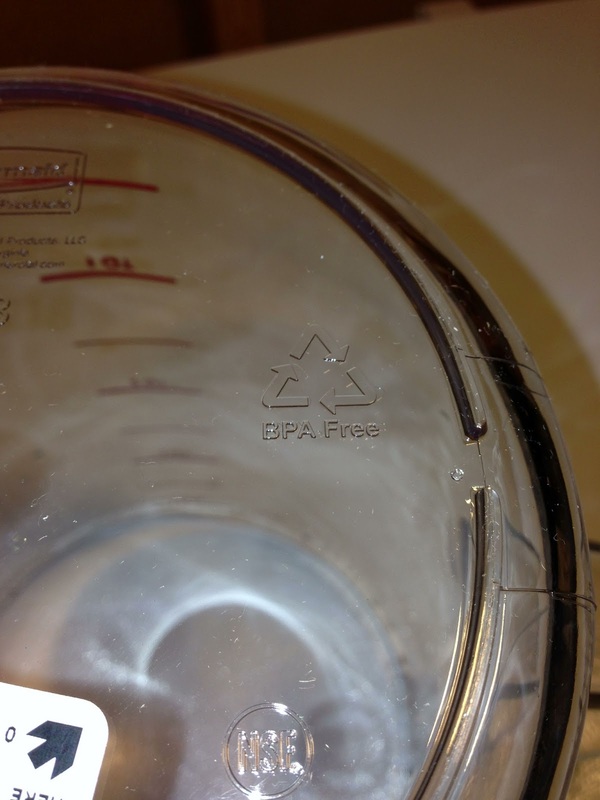 I’ve been using it on brew day and beyond for years. It’s on a short list of my favorite upgrades. 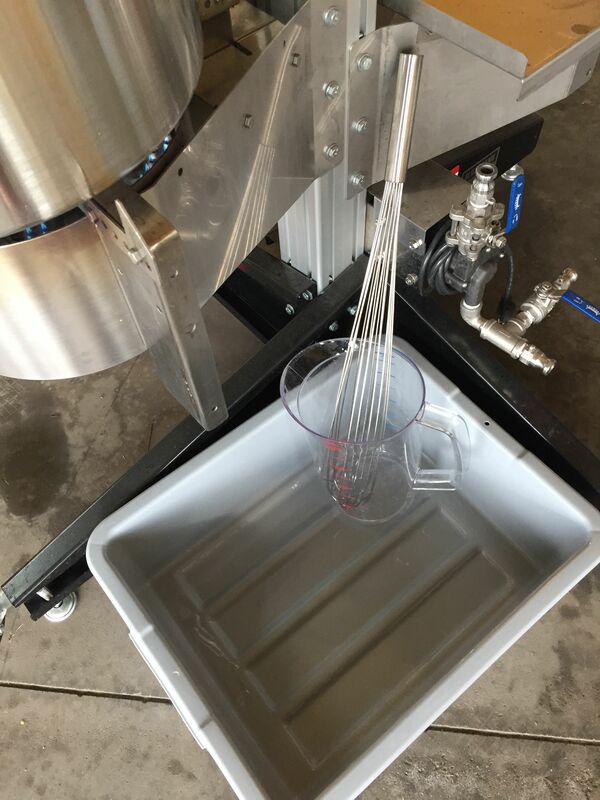 This entry was posted in All Grain, Amazon, Brew Day, Featured Reviews, HBF Tested, Made in the US, Making Brew Day Easier, Pitchers, Reviews, Reviews & Top Posts on June 12, 2013 by admin. I like that the aluminum one can go right on a burner if necessary. I know it’s not a brewing related use, but I’ve made spiced cider and mulled wine in my aluminum pitcher, and it is super convenient to be able to heat and then pour right into a mug… I don’t have a ton of storage space, so any finding multiple uses for brewing equipment is always a big plus for me. 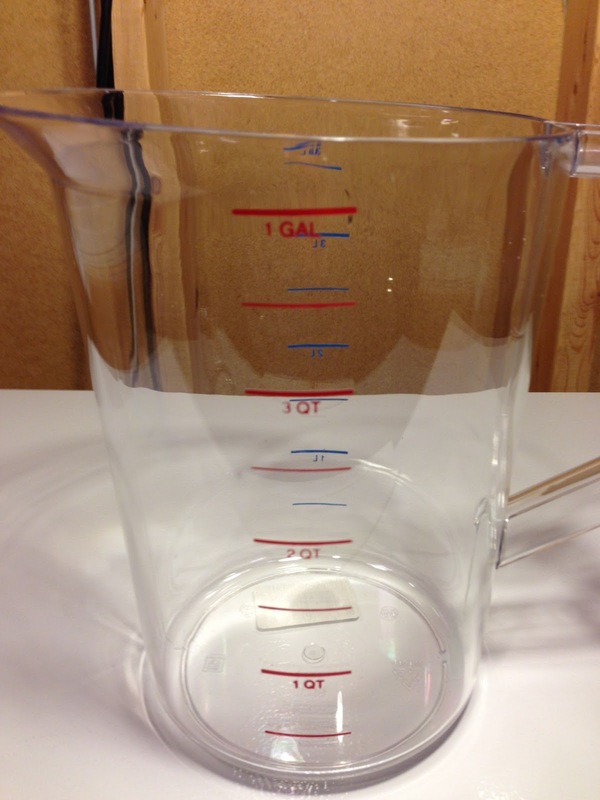 Have you found that the aluminum pitcher’s markings are not accurate? 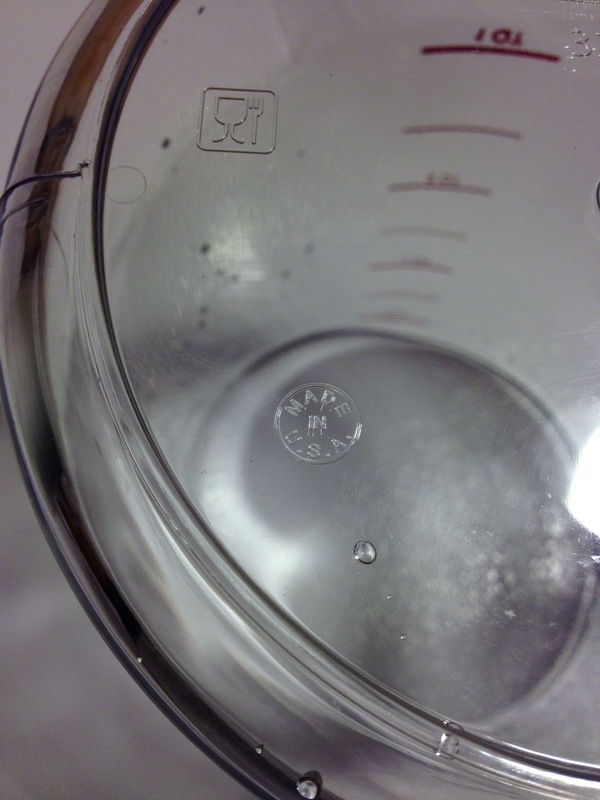 I checked when I first got the pitcher, filled with a 4 cup Pyrex measuring cup and it’s off by quite a lot.. I have to fill almost to the brim for an accurate 1 gallon.. I think the aluminum pitcher is reasonably accurate. In my experience 1 gallon is right where the lip starts to flange out. I got the Aluminum Pitcher based upon the recommendations here and wish I had know about the problems with star san and pbw. I now have a ring from the hop spider I dried in it. Other thing to point out with the aluminum one is that the handle has pretty sharp edges that I had to ease with a file. Getting cut by your pitcher on brew day is a definite bummer. I will use it because Aluminum is pretty shatter resistant, but I might get the Rubbermaid to compliment it. Food grade, chemical resistant, high temperature tolerance, really easy to pour precisely. 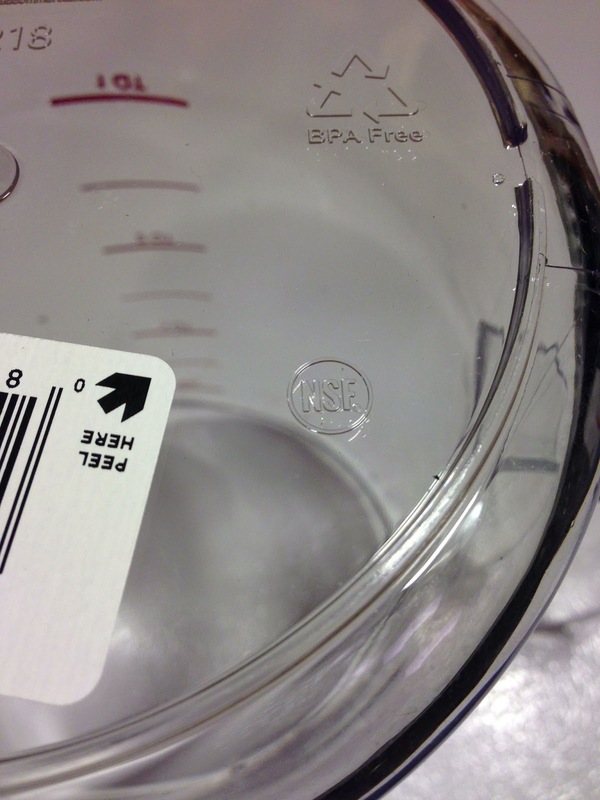 Also has very clear markings in ounces and mL on it.